At the present time I am at capacity with counselling work so I am unable to take on any additional work. Thank you for looking at my page, and I wish you well in your search for a therapist. I am a therapist who is able to work with a wide range of difficulties that you may be facing, including; anxiety, depression, bereavement and relationship issues. From experience I believe that a trusting relationship is the foundation for any real movement towards positive change.My hope is to build this with you within an environment that is supportive, accepting, non judgemental and confidential. I offer an initial no cost assessment to help you make an informed decision about whether you would like to work with me.This also provides me with an opportunity to assess whether I have the necessary skills to help bring positive change to your life. From the assessment we would work together to determine the best way forward for you. I offer shorter term (6-8 Sessions) therapy which can help you to discover your inner resources, coping strategies and assist you with tools and techniques for managing problems you may be facing with day to day living. I also offer longer term therapy, drawing on insights from Sensorimotor Psychotherapy to help compassionately integrate emotional responses from the past that you may have suppressed in order to carry on with everyday life. I have a BA (hons) degree, and am qualified to teach adults in the life long learning sector. I am currently course leader on a 2 year level 4 Diploma in therapeutic counselling. I work in the voluntary sector for 'Willows Counselling Service' in Swindon as a Counsellor and Supervisor. 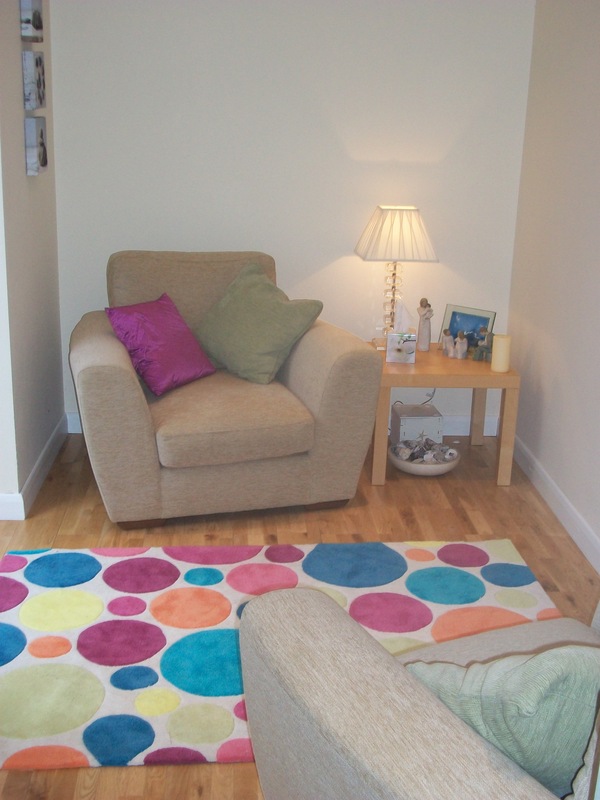 I work from a dedicated counselling room at my home in Woodmancote, Cirencester. I also have access to private counselling rooms in Cirencester and Swindon. I offer an initial no cost assessment and charge £40.00 for a one hour session of therapy.